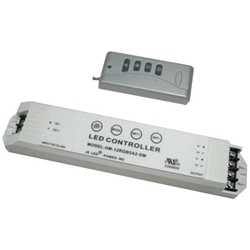 JS LED power repeater is suitable for all of our single color & RGB controllers to expand power output, it supports PWM control and can connect one to three times more LEDs by adding one more power repeater, and unlimited power repeaters can be connected together theoretically.
? RF and Membrane switch.